Loneliness, loss, love and libido are just some of the subjects explored in the 13 short films commissioned through Animation 2018, the prestigious programme from the BFI and BBC Four designed to find and support the UK’s most exciting new and emerging animators. Each of the films supported through Animation 2018 will receive production grants between £2,000 and £10,000 towards the completion or creation of an original film and the opportunity to be broadcast on BBC Four following a premiere at BFI Southbank. The selected films take different approaches to the form, using styles and techniques ranging from hand-drawn images to live-action puppetry, stop motion, CG, 2D and 3D and covering a diversity of genres from science-fiction to documentary to celebrate and explore the medium of animation. The films will each be 2-10 minutes in duration and showcase fresh animation talent from all nations and regions of the UK. This is the second edition of the UK-wide collaboration between the BFI and BBC Four which encourages and supports talent from a variety of disciplines. The last, Listen to Britain 2017, celebrated British documentary filmmaking and has already acted as a launchpad for a number of promising careers across broadcast and film. Animation 2018 forms part of the BFI’s year-long focus on animation, which celebrates the diversity, richness and innovation of British animation, through screenings and events in venues up and down the country, a new collection of 300+ archive animations available to view for free online and the release of BFI supported Early Man, the latest film from Nick Park. Animation consultant Helen Brunsdon will be working with and sharing her expertise with the filmmakers. Helen has worked extensively in the animation industry, for numerous clients including Aardman Animations, BBC, CBBC, The Brothers McLeod as well as for Animation UK and on the British Animation Awards. Her film credits include Wife Of Bath, Morph, The Pearce Sisters, Nina Needs To Go, Children Of The Holocaust, Isle Of Spagg, Quiff In Boots. Development and delivery of the animations will be managed by independent production company Wingspan Productions which produced Listen to Britain 2017. 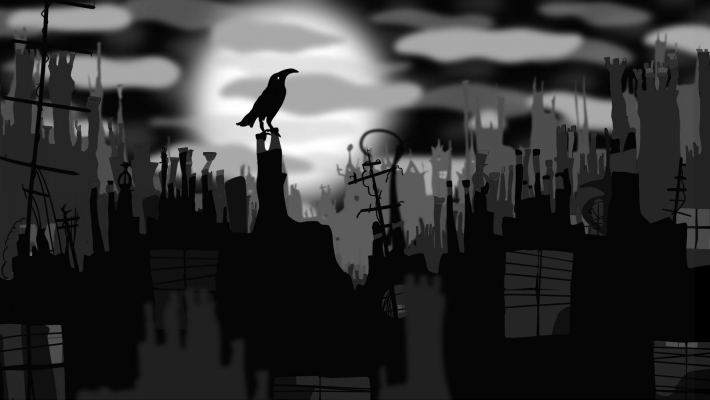 Tom Adriani will create a hand-drawn animated fairy tale set in a war-torn London. Jordan Buckner will use CG and 2D animation to consider one man’s strange encounter in a dying industrial town. Edward Bulmer, Shereen Ali and Andrew Eu will combine live-action puppetry with sketchy, hand-drawn animation to explore one man's sleepless night, as he obsesses over a bad joke he told at work. Jonny Eveson uses black and white 3D animation to tell the story of an alien city powered by a strange light, and a child who unwittingly threatens to bring it down. Sophie Koko Gate will explore one woman’s relationship with a beautiful giant slug. Astrid Goldsmith will use stop motion to tell an allegory for our times of a maverick, Morris dancing badger who risks expulsion from the band by dancing forbidden steps and making forbidden friends. Katherine Hearst and Maria Pullicino will create a short 2d animation about a lonely bird working in an oppressive factory, who finds an ingenious way to escape. Ieuan Lewis and George Warren are co-directing a stop frame animation following an Inuit struggling with his dog to survive after an oil tanker leaks oil off the coast of Alaska. Carla MacKinnon is collaborating with composer Hannah Peel on an experimental mixed-media film using real-life interviews and exploring the experience of romantic love. Mary Martins is drawing on autobiography and unravels her earliest childhood memory in Lagos, which she believes has been crucial in forming her sense of identity. Tom Rourke will create a bold and colourful 2D animation whose heroine lacks a limb but is determined it won’t hold her back - and she happens to be a penguin. Ed Smith will use 2D animation to tell the dark but funny story of Archie and Mary, a couple who obsessively shave themselves, and the conflict this leads to. Co-directors Victoria Watson and Chris Watson will use stop motion to explore an old man’s life as he confronts loneliness and loss and discovers that love never dies. The broadcast for BBC Four will be commissioned by Cassian Harrison, Channel Editor, BBC Four and Emma Cahusac, Commissioning Editor for BBC Arts. The project is part of Culture UK - an alliance between BBC and Arts Council England, Arts Council of Wales, Arts Council of Northern Ireland and Creative Scotland, which takes a fresh approach to cultural collaborations, commissions and creativity.